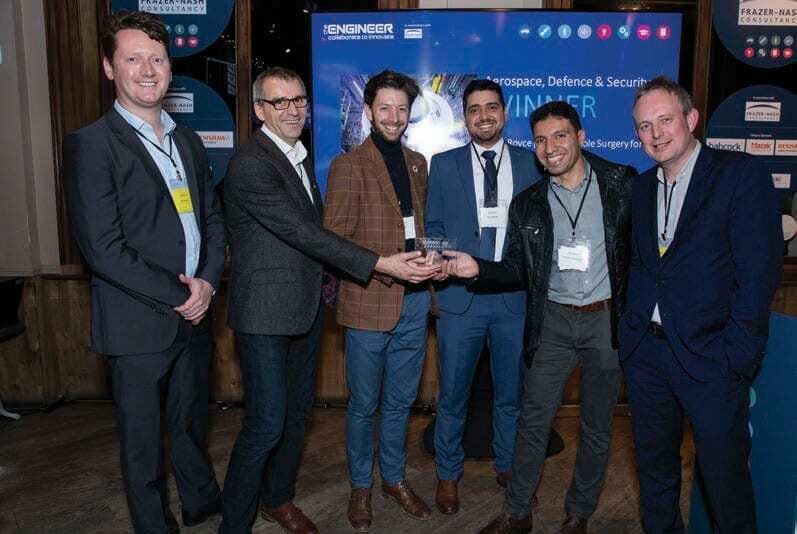 A meeting of minds: The Engineer magazine’s annual Collaborate To Innovate (C2I) awards puts one of UK engineering’s key strengths – its rich culture of collaboration – under the spotlight. Jon Excell, editor of The Engineer, runs through this year’s winning projects. The modern engineer can no longer afford to work in a silo. Indeed, in a rapidly evolving technological landscape, where the barriers between once distinct sectors and disciplines are becoming increasingly blurred, collaboration between different organisations and between individuals with different areas of expertise is critical to solving many of the challenges industry faces. Instigating and managing complex collaborations between organisations – which may be commercially competitive – and encouraging knowledge-sharing between sectors that often have their own vernacular is no easy task. 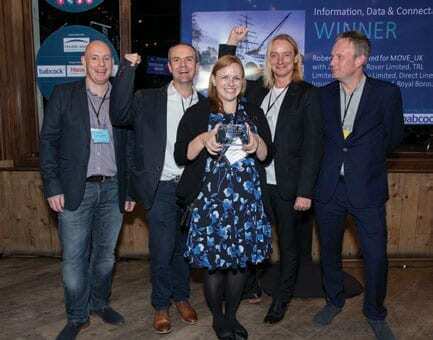 But, as the winning entries to The Engineer magazine’s 2018 Collaborate to Innovate (C2I) awards demonstrate, it’s an area in which the UK excels. Running since 2016, C2I was launched to uncover and celebrate some of the most inspiring and impressive examples of UK engineering collaboration in action and to showcase the way in which engineers are working with experts from other sectors and disciplines to solve fundamental challenges in areas ranging from healthcare to transportation. The winners of this year’s awards, detailed over the following pages, provide plenty of reasons to be optimistic about the future. 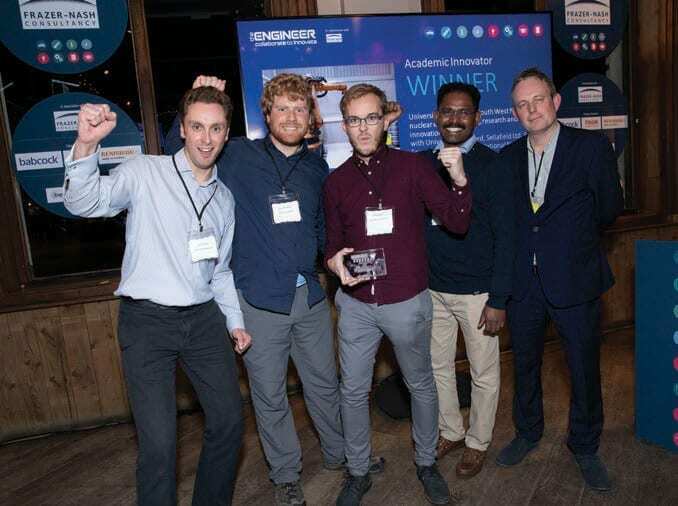 Whilst all of C2I’s winning projects featured some level of academic involvement, The academic innovator award brings this focus to the fore and celebrates academic hubs of excellence that are driving developments in key areas of technology. This year’s award went to the University of Bristol led South-West Nuclear Hub, which was set up tin 2016 to improve the application of research and innovation to the nuclear sector – an area which, thanks the to the UK’s low carbon energy targets- has assumed a new importance in the national energy mix. The hub, which also includes the Universities of Bristol and Oxford, Sellafield Ltd, EDF Energy, Atkins, Magnox, the National Nuclear Laboratory and Kyoto University, showcased a number of innovations through its C2I entry, including a diamond detector system used to measure radiation levels at Sellafield and a method for measuring the seismic structural integrity of bricks in advanced gas cooled nuclear reactors. A major priority for the hub is to ensure that its research is taken up by the global nuclear supply chain, and to help with this goal it is creating a nuclear innovation “factory”, called Nucleate, dedicated to overcoming market barriers to innovation in the nuclear sector. Another key focus is public engagement – and the hub coordinates both national and regional outreach activities as well as acting as an independent gateway for promoting public understanding of nuclear energy, framing it within the context of climate change mitigation. 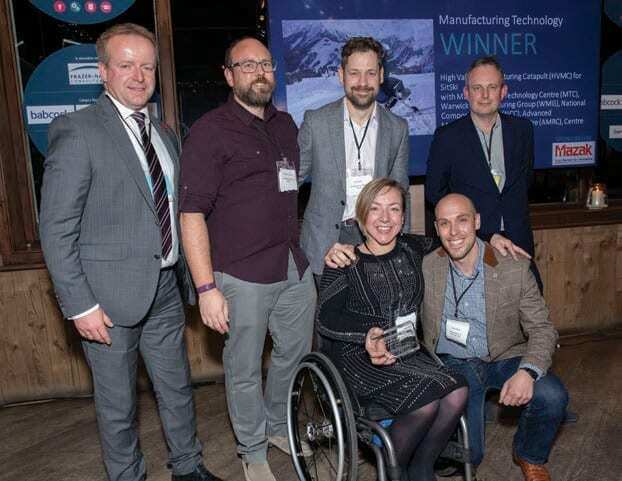 A highlight of this year’s competition, Sit Ski, is the result of a concerted effort to drive collaboration between the seven facilities that make up the government’s High Value Manufacturing (HVM) Catapult. Searching for a suitable showcase for the Catapult’s broad range of expertise, a chance holiday encounter with para-alpine skiers provided project leader Mark Ireland with an unlikely source of inspiration, and he determined to apply the centre’s range of skills to the development of an advanced Sit-Ski device for the athletes. A cross-centre team was put together and working in collaboration with some of the UK’s leading para-alpine skiers, the group brought all of its expertise to bear on the challenge: first developing a low-cost telemetry system for capturing data from the athletes, then using this data to develop a digital twin, and finally exploiting its expertise in areas such as additive manufacturing, light-weighting, and composites to develop and demonstrate a new sit ski device. The project has had a number of commercial spin-offs. Its telemetry package has been used by Rolls Royce to help simplify the supply chain by measuring forces components were subjected do during transportation whilst Airbus has been exploring the use of composite springs in aircraft undercarriage. Inspiring and engaging the next generation of engineers is a priority issue across industry, and there’s a growing consensus that if we’re to do this effectively we need to take the message to every corner of society: not just preach to the converted. 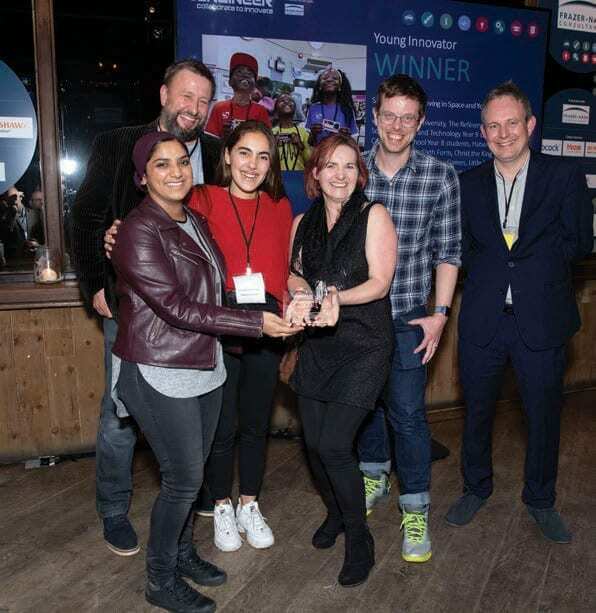 The winner of this year’s Young Innovator category – SMASHFest UK – was hailed by the C2I judges as a great example of how to achieve this. Launched by Middlesex University’s Wyn Griffiths and science broadcaster Dr Lindsay Keith, SMASHFest was set up to take science and engineering into the heart of some of the UK’s most deprived communities, by bringing the local community, artists, scientist and engineers together to consider how they would respond a “disaster movie” scenario such as a super volcano or a major flood. The initiative’s main event is an annual weeklong festival in the middle of Deptford, in south east London. This year’s award went specifically to SMASHFest’s “Living In Space” initiative, which was framed around a worst-case scenario of Earth being too inhospitable to survive, and encouraged participants to consider how they might survive in space. Few sectors are evolving more rapidly than automotive, and Autodrive – the UK’s largest ever trial of driverless and connected vehicles – is a striking illustration of how collaboration is helping drive what many regard as a golden age of innovation. Led by engineering consultancy Arup, and involving a mix of partners including JLR, Ford, Tata, MIRA, HORIBA, the universities of Cambridge and Oxford, local councils, academic research groups and even experts from the worlds of insurance and law, the project – which concluded in October 2018 – has demonstrated a range of technologies both on the test track and on public roads. These have included a prototype Range Rover capable of Level 4 autonomy (i.e. theoretically able to perform all safety-critical driving functions) and a fleet of 40 driverless pods, developed by Coventry firm RDM group, that have been used to explore how autonomous vehicles might operate safely alongside pedestrians and reshape so-called “first and last mile” transportation. The degree to which manufacturers tap into the expertise of the academic research base is a key hallmark of UK innovation. 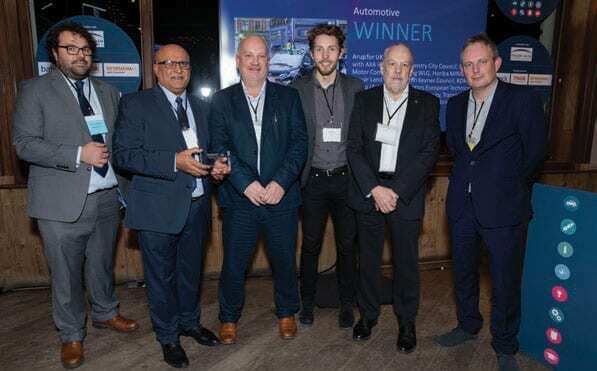 And the winner in this category – a collaboration between Rolls Royce Plc and the University of Nottingham – is a great example of that dynamic in action. Working with engineers and researchers at Nottingham’s University Technology Centre for manufacturing and on-wing technologies, the group has designed a range of bespoke robots designed to carry out remote inspection and repair to the compressor blades of jet engines. Problems with compressor blades – which are subjected to some of the most aggressive conditions in engineering – are typically dealt with either by removing and replacing the engine, or repairing the blade in-situ with a boreblending probe that grinds the damaged blade edge back into shape. Both processes are heavily reliant on highly skilled individuals, and extremely time consuming, eating into Rolls’ famed “power by the hour” business model. The winning entry offers a potential solution to this, through the development of remotely operated bore-blending robots, that would skilled mechanics to carry out vital repairs from potentially anywhere in the world, potentially vastly reducing the time required to return it to service. Whilst there are no shortage of projects working on driverless car technology, systems for testing and approving the rapid advances in this area remain elusive. Robert Bosch Ltd and its partners in the Move_UK project are seeking to change that by developing new validation methods that will reduce the time taken to test automated driving systems. Like UK_Autodrive (see above), this project has bought together a diverse range pf partners including Jaguar Land Rover (JLR), Telematics specialist The Floow, the Transport Research Laboratory (TRL), and Direct Line insurance. A further consortium partner, the Royal Borough of Greenwich is operating a fleet of five conventionally driven, but heavily instrumented, JLR vehicles that have been travelling the streets of SouthEast London and collecting data on how human drivers react to range of different driving events. The cars are equipped with driver assistance systems that have been-decoupled from the operation of the car so that engineers are able to compare in real time the behaviour and decision making of the vehicle’s autonomous systems with that of the human driver. At the heart of the project is smart approach to the way it handles data. The huge volumes of data generated by driverless systems makes traditional approaches to data analysis impractical. Move_UK is taking a different approach by only concentrating on particular types of data and using connectivity technology to transfer data in real-time via either Wi-Fi or 3G to a cloud-based system operated by TRL. According to the team this helps to reduce the total volume of data collected and speeds up the validation process. 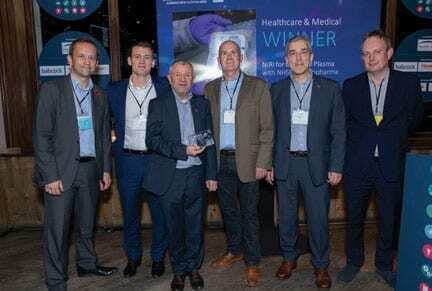 One of the outstanding examples of cross-disciplinary collaboration in this year’s awards was Universal Plasma, a project spearheaded by NHS Blood and Transplant (NHSBT), that has combined textile, chemical and medical expertise to develop filtering technology capable of producing blood plasma that could be used on any patient. The project began life as a collaboration led by Nonwovens Innovation & Research Institute (NIRI), a Leeds-based company that develops innovative textile products and prototypes. Working in partnership with biomed company Macopharma and NHSBT, NIRI developed a new type of filter that removes ABO antibodies from donated human plasma, creating universal plasma (UP) that can be used to treat anyone. Ordinarily, a patient’s blood group must match that of the donor in order for blood and plasma transfusions to be carried out safely. If the wrong type of plasma is given to a patient, the conflicting antibodies can cause haemolysis (rupture of red blood cells) which can result in death. NHSBT is now leading the next phase of the project, testing to ensure the filter meets the clinical requirements and patent safety, while Macopharma and NIRI are exploring how the technology can be scaled for commercialisation. Another initiative aimed at tackling the UK’s decarbonisation challenge, the Balanced Energy Network (BEN) project set out to create a new type of heating network which it describes as an “internet for heat”. Over the course of the 27-month program, the members of the BEN team (ICAX ltd, London South Bank University, Upside Energy, Origen Power, Cranfield University, Mixergy and Terra Firma Ground Investigations Ltd) have developed a concept for heat sharing known as a Cold-Water Heat Network (CWHN) and demonstrated this system in buildings at the London South Bank University. Underpinned by an innovate heat pump, the network works by transferring warmth via piping circuits between buildings at near ground temperature, and recovering it via heat pumps in each building. These heat pumps are designed to replace gas boilers in existing buildings without the need to replace existing heat distribution systems. The advantages of this type of system over conventional CHP (combined heat and power) district heating systems include integration of diverse heating systems through the recovery of low-grade waste heat; delivery of simultaneous heating and cooling, and reduced installation costs through making use of the existing infrastructure.